Most pregnancies progress with no problems but some women and their partners may have difficult decisions to make. We offer women a number of screening tests during pregnancy to try to find health conditions that may affect the health and wellbeing of their baby. Depending on the screening test results women may then be offered prenatal diagnosis (PND) in the form of chorionic villus sampling (CVS) or amniocentesis. Deciding whether or not to accept the offer of PND is one of those difficult decisions. An essential part of the role of the screening midwife is to support women and their partners offered PND, making sure they have the information they need to make decisions that are right for them. This requires time spent counselling couples, giving information and answering questions, both face to face and over the phone. These discussions are vital, but they need to be supported by good quality, evidence-based written information. FASP previously provided 2 leaflets, one for CVS and one for amniocentesis. Recent changes in programme guidance meant some of the information in these leaflets needed to be updated. As well as needing an update, there was some duplication and the leaflets were long and quite technical. It also made sense to amalgamate them into one leaflet and Public Health England’s (PHE) commitment to plain English signalled a major overhaul of the content. 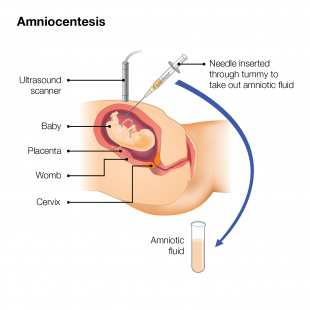 It’s really important to get things right, so we started by undertaking a review of the literature and published evidence regarding amniocentesis or CVS. Once armed with the most recent evidence, a team of experts in fetal medicine, quality assurance and the ‘parent voice and perspective’ gathered to work on what would be the first draft of many. With help from the information and education for public and professionals (IEPP) team, we began to shorten and simplify the wording using a pair writing technique. After much discussion and many tweaks, we had a version to take to a focus group of mums, mums to be and dads. They received and evaluated this version really well. NHS Choices will also be updating its CVS and amniocentesis pages to align with the new leaflet. Local screening providers should give a copy of this leaflet to every woman who is offered PND to support the counselling process and discussions between the woman and her health professionals. 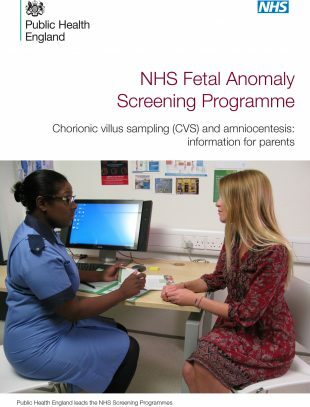 You can download 'Chorionic villus sampling (CVS) and amniocentesis: information for parents' from GOV.UK and trusts can order hard copies for free from our national print supplier.